In an apparent response to mounting pressure in Washington, Twitter said it would give users additional information about ads on the microblogging service, including details about who paid for the ad and the groups being targeted. Twitter announced what its calling its Transparency Center in a blog post Tuesday, one week before the company’s general counsel is set to testify before the House Intelligence Committee, alongside representatives from Facebook and Google, about how Russian operatives used the platforms to meddle in the 2016 US election. It comes one week after Sens. Mark Warner, Amy Klobuchar, and John McCain introduced legislation called the Honest Ads Act that would impose additional disclosure requirements on online political ads. Like Facebook, which has announced similar policies meant to educate the public about political ads, Twitter is betting that more transparency may be its best defense against potentially burdensome regulation from Washington. The company is also imposing special requirements for so-called “electioneering” ads, which refer to a specific candidate or party. It will require these advertisers to identify themselves, by marking their accounts with a special icon, similar to the way Twitter marks verified accounts with a blue check mark. This is not the first time Twitter has highlighted political ads. Adam Sharp, the company’s former head of government, news and elections, says Twitter introduced similar badges on all political ads in 2011. When users hovered over the badge, they could see information about who was paying for the ad, similar to disclosures on TV and radio political ads. But that same year, the Federal Election Commission deadlocked on a request from Facebook for an exemption to rules that would require such disclaimers. Facebook continued to publish political ads without the disclosures, and eventually Twitter and others followed suit. “That lack of resolution made lack of transparency the industry standard,” Sharp says. Now, in the face of both customer and regulatory backlash, the pendulum is swinging in the other direction. 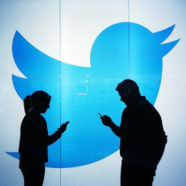 Twitter said it will create a section of the Transparency Center that hosts political ads, as well as information on who paid for the ads, how much money advertisers spent on the ads, and demographic details about whom the ad targeted. The company also said it will limit the targeting capabilities of political advertisers, and may prevent some groups from advertising. Depending on how that policy is implemented, that could prevent nonprofit political groups from creating infinite shell organizations to obscure who is really paying for an ad. In a tweet, Warner called Twitter’s move “a good first step,” though he reiterated the need for the Honest Ads Act. Klobuchar said in a statement that the announcement is “no substitute for updating our laws and passing the Honest Ads Act,” which would apply to all online platforms. “If Twitter is an advocate for this type of transparency and accountability, I look forward to its support of my bipartisan legislation,” Klobuchar said. Providing more transparency around ads could help with some, but not all of the ways that Russia is believed to have meddled in the 2016 election. Russian-linked actors also posted fake new articles on Facebook, deployed carefully crafted hashtag campaigns that mobilized bots with misinformation on Twitter, used Google ads to help finance the whole operation. The campaign relied in large part on ordinary Americans, who believed in what they were reading and who chose to pass that information on to their social networks. Cracking down on ads may make it harder for bad actors to instantly spread their messages far and wide. But it’s the viral spread of misleading or divisive information from anywhere in the world that these tech companies still need to address.